Lovely Dog Resting In Park Outdoors. Slow Motion. HD, 1920x1080. 4k00:27Cute, pretty pug dog lying on the grass lawn. Looking for something with great interest. Funny crawling. Going to the owner. Breathing heavily, sticking out its tongue. Summer sunny day. Hot weather. 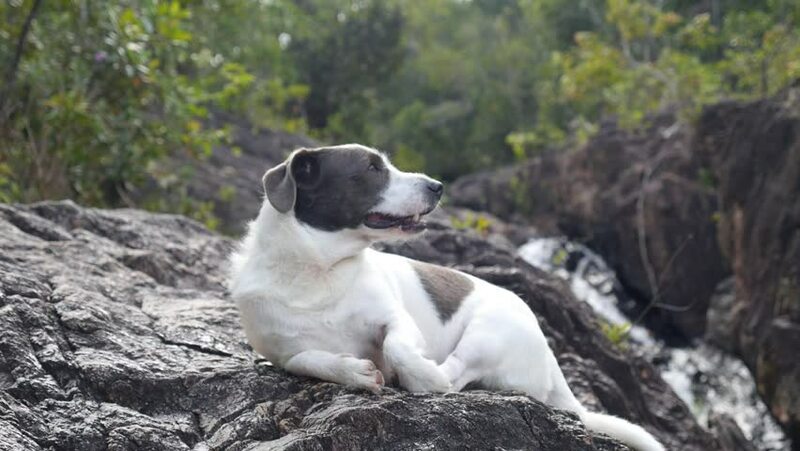 hd00:18Cute Dog Relaxing By Waterfall. Slow Motion. HD, 1920x1080.